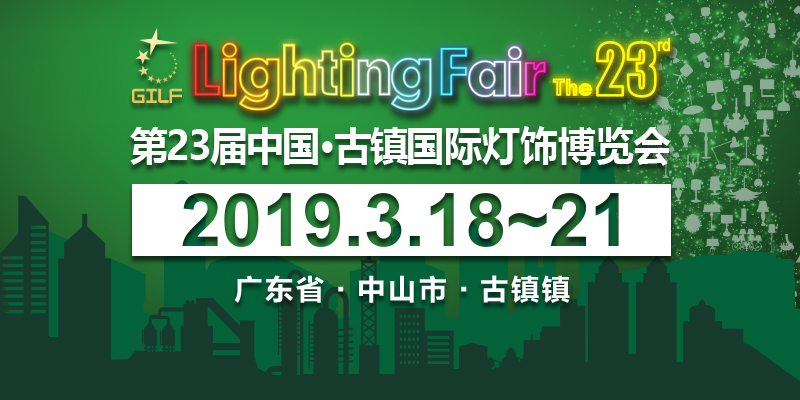 The 23rd Guzhen International Lighting Fair (Spring) will be held concurrently with Guzhen Lighting Manufacturing, Supply & Services Expo 2019 in Guzhen town, Zhongshan city, China from March 18 to 21, 2019. With strong support from Zhongshan Municipal People’s Government, the fair will be hosted by Guzhen Lighting Expo Co., Ltd. and co-sponsored by China Association of Lighting Industry and China’s Lighting Capital (Guzhen, Zhongshan). Staying true to its original inspiration, this GILF will focus on innovative products, cutting-edge technology, and bring together famous exhibitors and industrial talents for the ultimate purpose of accelerating the progress of this industry. Taking “Original Lighting Sources for 6 Billion People Worldwide” as the theme, the fair continues to adopt the “1+7” linkage mode between exhibition & megastores. The main venue Guzhen Convention and Exhibition Centre with seven sub-venues (Lihe Lighting Expo Centre, Huayi Plaza, Star Alliance Lighting Center, Lighting Era Center, Besun Lighting Plaza, Huayu Plaza, China International Streetlight City) occupying a total exhibition area of over 1.5 million square meters, will gather 2,000 high-quality exhibitors. 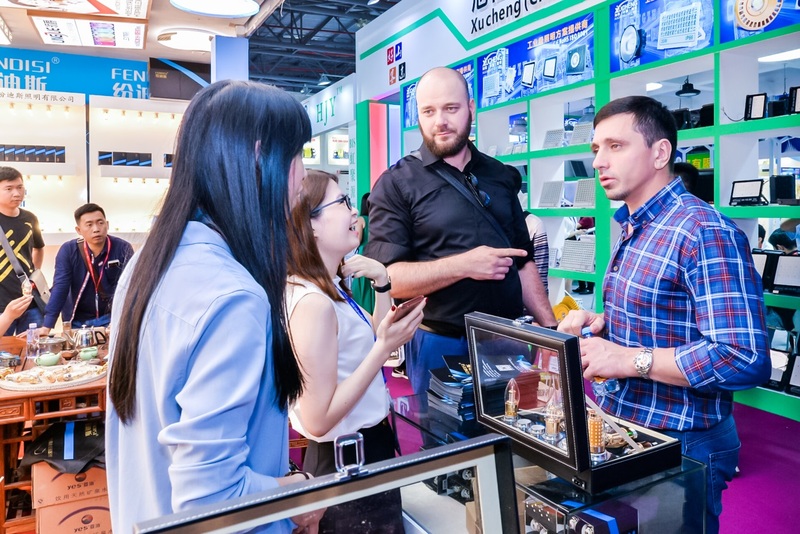 With the purchasing mode of “Front Exhibition, Back Factory”, the main venue attracts 805 exhibitors (Oman Lighting, Dark Energy Power, Shanghai Bright Power Semiconductor, etc. ), while the sub-venues gather many well-known enterprises such as Signify, OPPLE, COMELY, etc. The 8 venues will jointly form an industry&brand cohesive force, promote exchanges between industry professionals at different levels and fields, and further integrate trade and exhibition. The fair and the Manufacturing Expo complement with each other, covering a wide range of exhibits such as decorative lighting, household lighting, electrical and electronic products, commercial lighting, LED technology and lighting, outdoor lighting, machinery, raw materials, accessories, 3D printing, services, etc. Besides, Guzhen Convention and Exhibition Hall A with lighting design as the highlight and intelligent manufacturing as the focus, plays an important role in energizing industrial upgrading. We focus on the investment of leading enterprises in decorative lighting, and introduce enterprises with design innovation ability and lighting engineering strength to compete on the same stage. At the “Intelligent Residential Lighting” exhibition hall, we provide not only intelligent lighting products, systems and solutions from professional brand enterprises, but also the intelligent system connected to the overall residential lighting control program. Many incisive seminars such as Intelligent Lighting Products and Application Innovation Forum, 2019 Lighting Industry Market Trends and Overseas Market Expansion Report, etc. will be held, where business opportunities, online lectures and purchasing activities will be available. This fair will further integrate exhibition and network. All the exhibition services and exhibits are available on the B2B purchasing and trading platform officially launched by Guzhen and GILF. Industry professionals can find manufacturers, products, and business opportunities online regardless of time and place. GILF, as a first-class platform for enterprises to display products, trace industrial trends, exchange industry technology, negotiate trade cooperation, and establish corporate brand, will be bound to expand China’s lighting market. 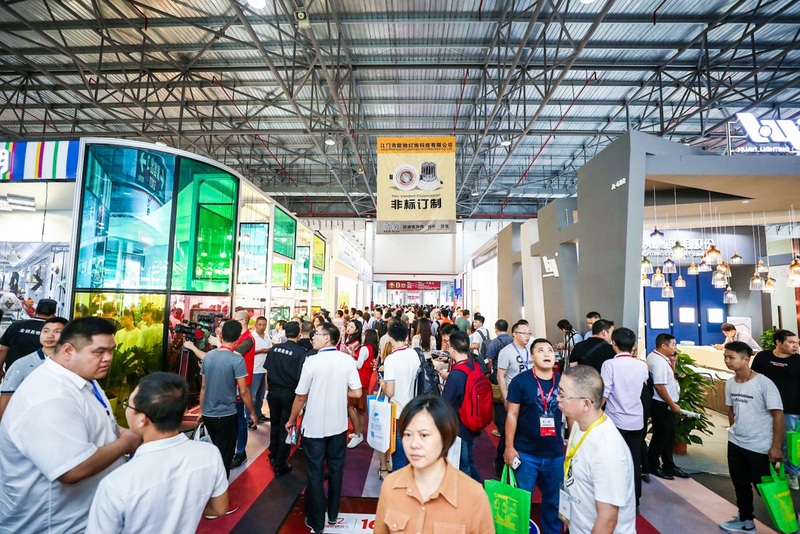 This fully-prepared fair featuring multiple exhibitors, diverse exhibits of excellent quality and brand-new style, will energize the development of industry 4.0. Look forward to your arrival!